EverybodyFights, the boutique boxing gym founded by George Foreman III, is opening a new location in Philadelphia. A growing fitness trend is making its mark in Philadelphia with the opening of two new boxing gyms in the city. Cue the "Rocky" comparisons. George Foreman III, a former professional boxer and one of five sons named George by your favorite grill creator, is bringing his boutique boxing gym EverybodyFights to Philadelphia in January 2019. The new location will be the gym's seventh, which also has spots in New York, Boston, Chicago and Kentucky. 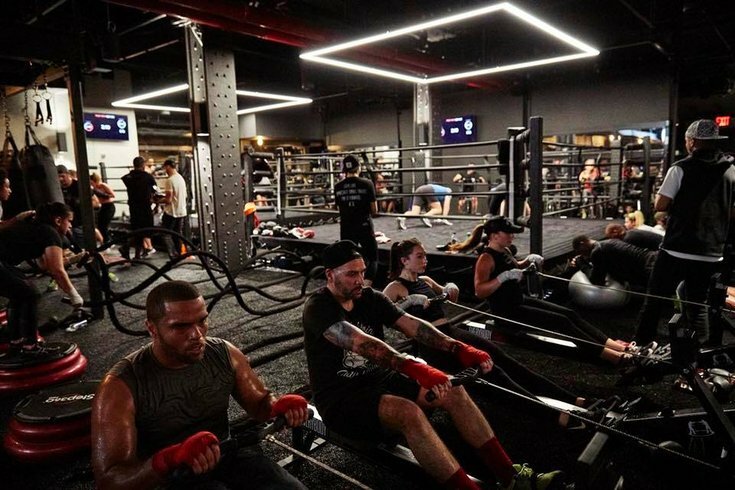 EverybodyFights will be located on Market Street in a 12,000-square-foot space styled to look like a traditional boxing gym but with all the high-end perks of a luxury club. In addition to two full-sized boxing rings, the space will have designated spaces for different parts of the workout: a 60-person bag classroom for boxing, a 60-person training room for circuits, and a 30-person treadmill room for road training, as well as an open gym area with free weights and cardio equipment, are also planned for the gym. You can expect a steam room, blow-dry bars, lounge areas, and other lux perks. “Philly is rich with boxing history; it’s in their blood,” George Foreman III said in a statement. “Philadelphia has been home to some of the greatest boxers of all time, including Joe Frazier, Bernard Hopkins and George Benton." The space will open not long after another boxing gym comes to the Rittenhouse area. Right in the middle of Center City's Walnut Street shopping district is a yet-to-open Rumble Boxing location, which was first announced early this year. The workout has already amassed a following in New York, where a session includes strength training, high-intensity interval training and metabolic conditioning. The boutique fitness studio at 1520 Walnut St. is still not open, though a Fall 2018 opening date has been promised, and the storefront is looking more ready to open than ever. The Philadelphia Rumble location is part of the NYC-based company's growth throughout the country, with gyms in Los Angeles and San Francisco also planned.